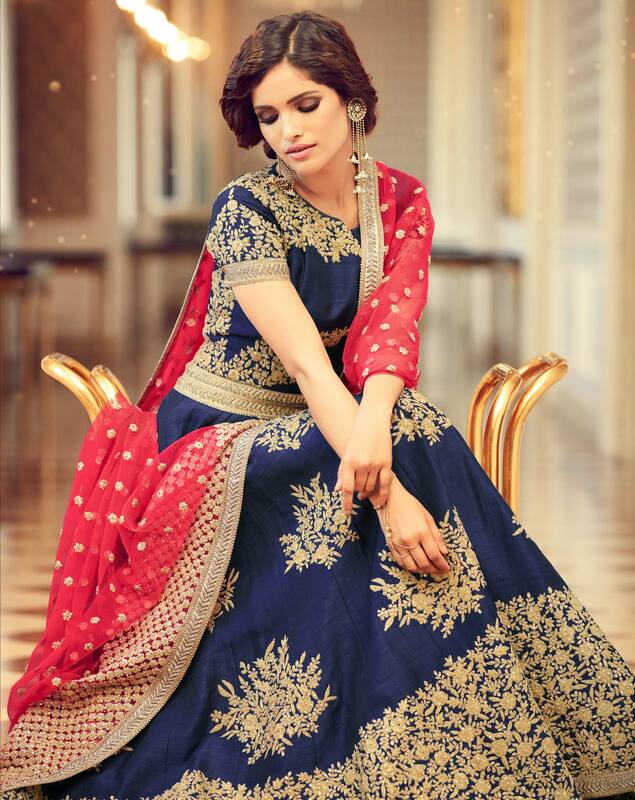 You are bound to make a strong style statement with this dazzling navy blue tapeta silk anarkali suit. This beautiful designer suit is prettified with embroidered and flair which makes it appear classy. Available with matching santoon fabric bottom and netted dupatta with beautiful lace border and sequin work all over the dupatta. Women can buy this ethnic dress to wear for their upcoming functions and occasions. Team it with ethnic accessories to make your looks more beautiful. Length Chest upto 34 - 44 inches and length upto 54 inches.